Oh joy ,oh bliss! The sky is blue after a wet and muggy week that we would all be bitching and moaning about except that we are just grateful that we are not flood affected like all those poor soggy, muddy folk up north. Seems the small wheeled bike convention is over and the bikes are back in town. Spotted this one outside the Fitzroy pool (perfect day for a swim) – it wins a prize for the most purdiest basket, not to mention the complementary matt white stack hat. This girl sure has style – bicycle chic style. It’s another Lawrencia. And guess what? For the bike trivialists out there: (though I suspect I may be the only one) Lawrencias were made in Malvern, right here in Melbourne. 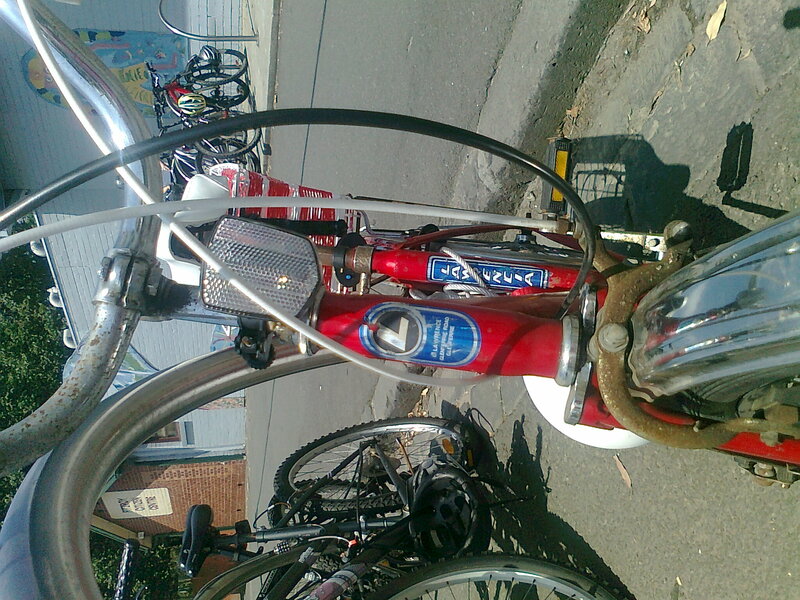 (I note the badge says Lawrence, so maybe Lawrencia is the women’s bike version) That’s the second made-in-Melbourne little bike I have discovered (see recent post: Home-grown mint-condition hand-me-down). And another provenance tid-bit for anyone who cares: I recently discovered that Phillips is a Dutch Bike company that was making bikes as far back as the forties.My reference is a gorgeous little book on vintage bikes I bought about 10 years ago that show cases bikes from the Galbiati Museum, a bike museum in Italy…you should drop in there if you are in the neighbourhood – they have a magnificant collection from what I can tell by this book. Thanks for writing about my bike, what a lovely blog! Awesome to see someone collecting all the little bikes on one site, I often think of taking photos when I see cool bikes around but I never do..
Hoorah! Thanks for writing back. 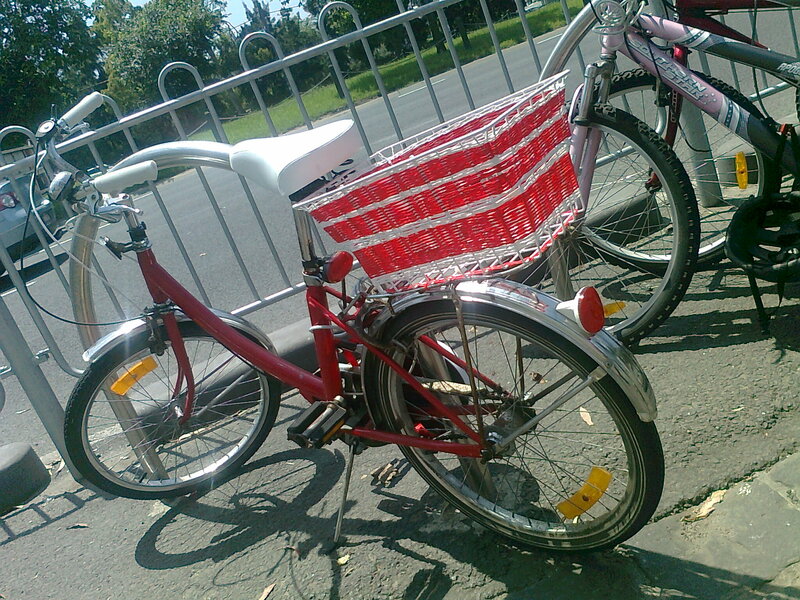 I am glad you like the blog – I am most tickled when people write back, knowing that they know that I know that their bike is Special with a capital S.
Love that basket – where did you find it I wonder? Laziness? Au contraire! 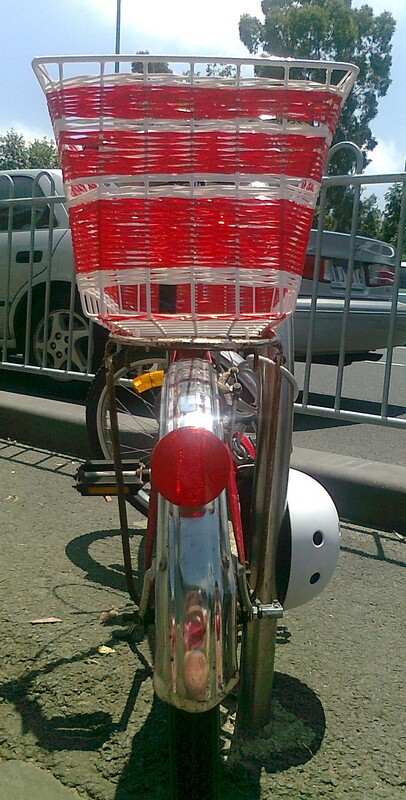 I think you win the little bike blog renovator’s award. Coke and steel wool is a trick worth learning, but the hand made basket: that’s genius. You got style girl!